The classic age of the ivory tower has passed. It’s no longer the case that you can publish a book with a title like “The Oxford English Book of … something” and have it be the definitive collection of voices on a subject. In academe, such a definitive collection is known as “The Canon.” The term’s etymology, appropriately enough, harkens back to a collection of books (or texts) that are recognized, and thus included, to form the biblical canon – or a canon of scripture. 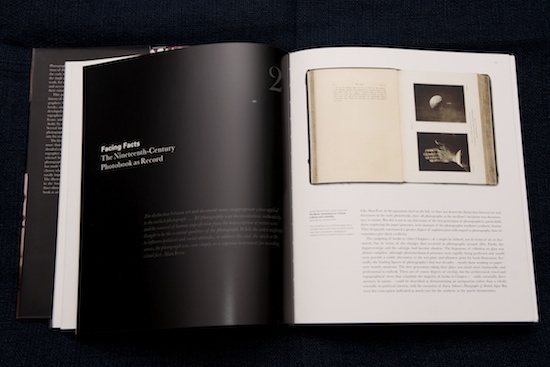 That is exactly what makes up The Photobook: A History: a collection of books that have defined the history of photography. 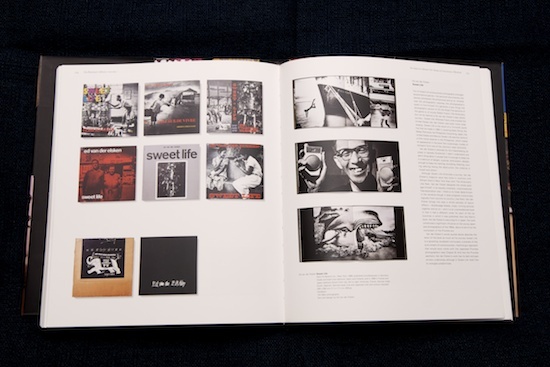 The Photobook is a pivotal work for it defines explicitly something understood but never stated: there are photographs conceived for a gallery space, and there are photographs which have their natural expression in the pages of a book. Obviously the same photograph can be hung in a gallery and published in a book, this is not a rigid and exclusive categorization, rather it is a new interpretive framework that redefines where photography has been, and where it is going. The story told here […] has hardly been considered by historians. 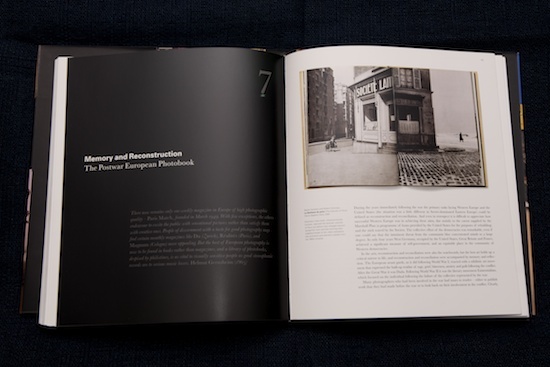 It is, as the photo-historian Shelley Rice has described it, ‘a secret history embedded in the well-known chronologies of photographic history’, ignored and somewhat disregarded in the past, perhaps because it was so obvious – right there under our noses, taken for granted. 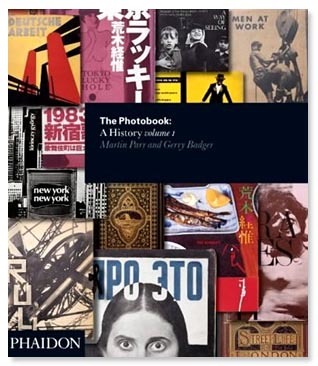 This is the history of photography that is found in the photographic book, or as it had recently come to be termed: the ‘photobook’. By reinterpreting the history of photography through photobooks, Parr and Badger have created a new canon. Two hefty, large-format volumes with a combined page count of just over 650 (a third volume is on the way). The danger with defining a canon, as any English major knows, is you can never provide the kind of representation that will satisfy everyone. Before the book is even published you find yourself in a turf-war. Exclusivity is the hallmark of the canon. It is not a bookstore that tries to stock everything. It is not a google search for “photography book.” Those who accept its authority look to the canon for an organizational principle: comprehensive, yet highly selective. 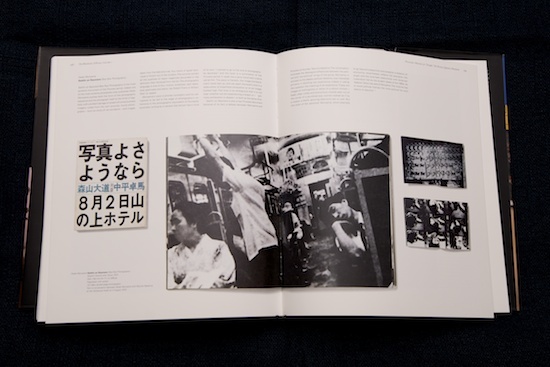 A photobook is a book – with or without text – where the work’s primary message is carried by photographs. It is a book authored by a photographer or by someone editing or sequencing the work of a photographer, or even a number of photographers. It has a specific character, distinct from the photographic print, be it the simply functional ‘work’ print, or the fine-art ‘exhibition’ print. 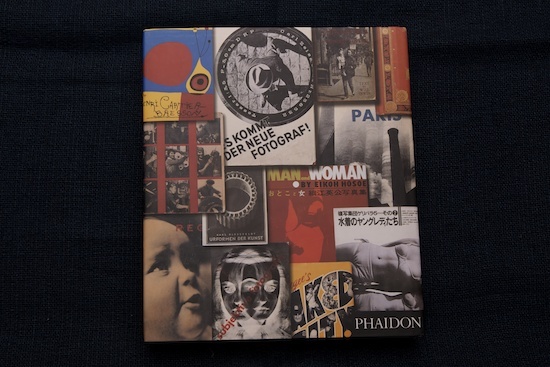 Next, given all the photobooks available, there must be a further cull: not a photographer’s monograph (with a few exceptions), not simply a photographer’s ‘greatest hits,’ but rather a book with ‘intent’ and an investment in the format, design, aesthetic, and mechanism of ‘the book’. This is all laid out in the excellent and very readable introduction. In fact, the unexpected pleasure of this collection is the writing. The prose is informative and scholarly without being tedious or pedantic. Given the scope of these two volumes, considerable background information needs to be delivered. The vehicle for delivery has been fine-tuned to the point where the essays that introduce individual sections, and the entries themselves, are clean, precise, and highly polished. The printing, as one would expect from Phaidon, is excellent, and the clarity of the images makes up for their relatively small size. The pages are matte with a spot varnish on the images, an effect which really makes the images ‘pop’. The range of the selection means that, unless you have been looking through Martin Parr’s personal collection of photobooks, you will find material in these volumes that is new to you. It’s worth noting that just two years before the publication of The Photobook, (on January 7, 2002), probably while Parr and Badger were engaged in preliminary writing and design of the manuscript, Apple lauched its iPhoto software. 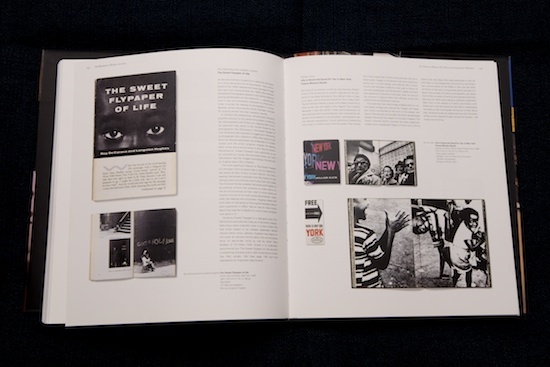 The first version contained the ability to produce hardcover books from a collection of photographs, thus moving the world of vernacular photography into the nascent world of print-on-demand. It was a sea change. 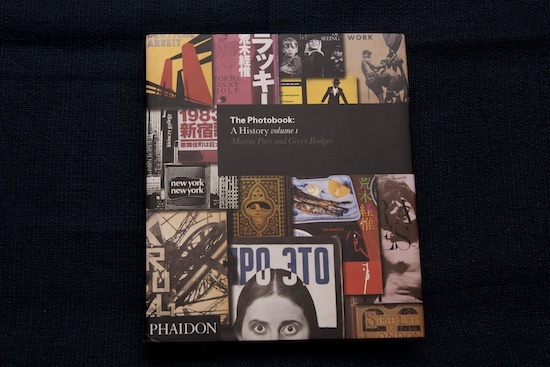 The term “photobook” which never really existed before Parr and Badger (most dictionaries still do not recognize it), would, within a few years, come to identify a growing industry which, through its promotion of boilerplate templates and standardized editing capabilities, was really the antithesis of the photobook in the sense that P&B were attempting to establish. In 2011 The Aperture Foundation started the Photobook Review (with Gerry Badger contributing), but if you keyed “Photobook Review” into a search engine you were just as likely to stumble upon evaluations of vendors as the Aperture title. 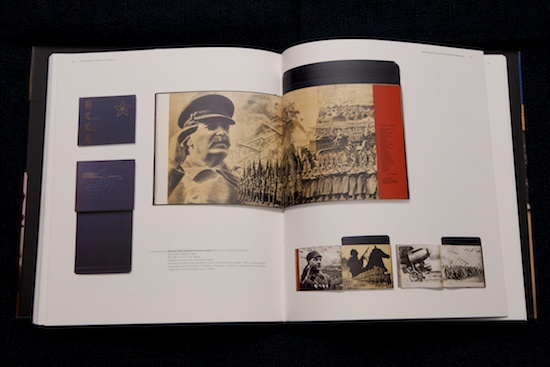 An optimistic view might hold that if the print-on-demand editing platforms became sufficiently powerful and responsive, motivated individuals could have the capability of producing works worthy of inclusion in the brave new canon of the photobook. Perhaps. Given the nature of vernacular photography we will have to keep our eyes on second-hand shops, ebay, or wait for future volumes of The Photobook to find out. The Photobook: A History Vol 1 was purchased online.